Anubis, the Egyptian God of Mummification, was often depicted as a jackal as they would howl during burials in Ancient Egypt. 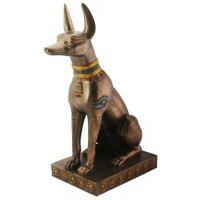 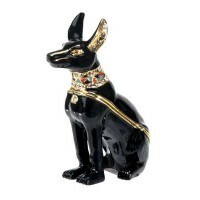 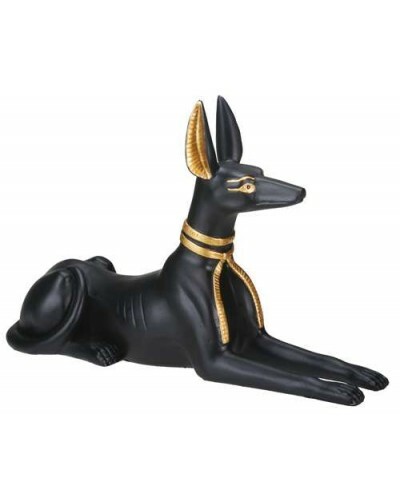 Beautifully detailed Anubis shown in the form of a jackal, a wild Egyptian dog that was often found in the Valley of the Kings where the Ancient Egyptians buried their pharoahs. 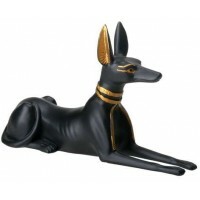 Rendered here in black cold cast resin with hand painted gold details, this Anubis statue is 10 inches long to the tip of his detailed paws. 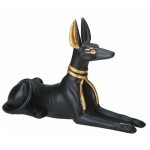 Item Number: YT-7878 | Approximate Size (Inches): 4.75 wide x 7.25 deep x 12.00 high | Approximate Shipping Weight: 6.00 lbs.